Marilyn was Queen and they both drank Coca-Cola. Rock Island Cafe is Hawaii's premiere old fashion diner, memorabilia shop and bar. 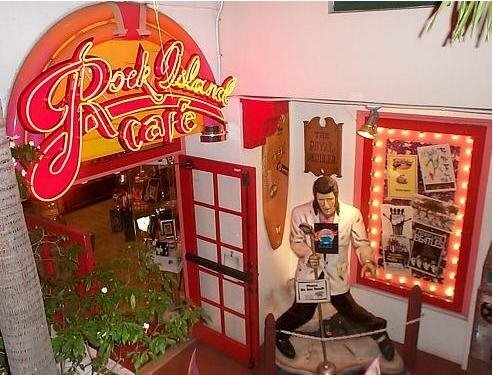 We hope that you have had the opportunity to experience Rock Island Cafe when visiting Hawaii. If you haven't, please come and see us real soon. Rock Island Cafe is located in the heart of Waikiki, in the world famous city of Honolulu, on the island of Oahu, in beautiful Hawaii. We are steps away from the world famous Waikiki Beach. Come on down and see us on Kalakaua Ave between Ena Rd and Ala Moana Blvd.